The main advantage of the platform on the loop is that both trains would only have to stop once – at Bricket Wood. If one of the trains is running slightly behind then the other train can still drop off and pick up passengers while waiting for the second train. As it was pre-1966. 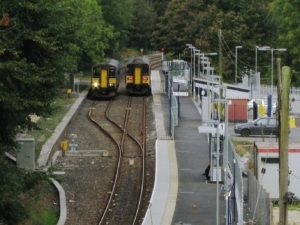 Additionally it is really simple for travellers – all trains from one of the platforms will go to St Albans and all the trains from the other will go to Watford. There is also the potential that the platforms could be extended to cope with longer trains which might be a requirement in order to allow through trains to London. The main disadvantage of this approach is the additional cost that would be incurred to build the second platform as well as the costs in providing suitable access to the second platform. From previous research commissioned by Hertfordshire County Council, the expected cost for this approach came in at £15-30m. A second option is to have the passing loop outside of the station. This would be the cheapest option as there is just the cost for the passing loop and signalling, with no need to build a second platform. Although the costs are the lowest there are a couple of disadvantages. Firstly if one of the trains is delayed then it could mean that both trains get delayed. Secondly one of the trains will be required to stop twice which will increase the journey time. Here trains going both ways will stop at the same platform. The third option is to extend the platform and have the passing loop pass along half of the platform. 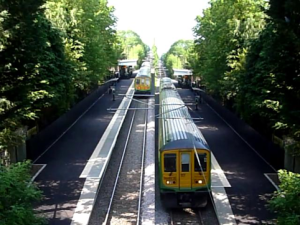 This would cost more than having the passing loop outside of the station because the platform will need to be extended, however it has the advantage that it will only require each train to stop once so there would be no extension of the journey duration. Half of the platform would have trains going one way and the other half of the platform would have trains going the other way. 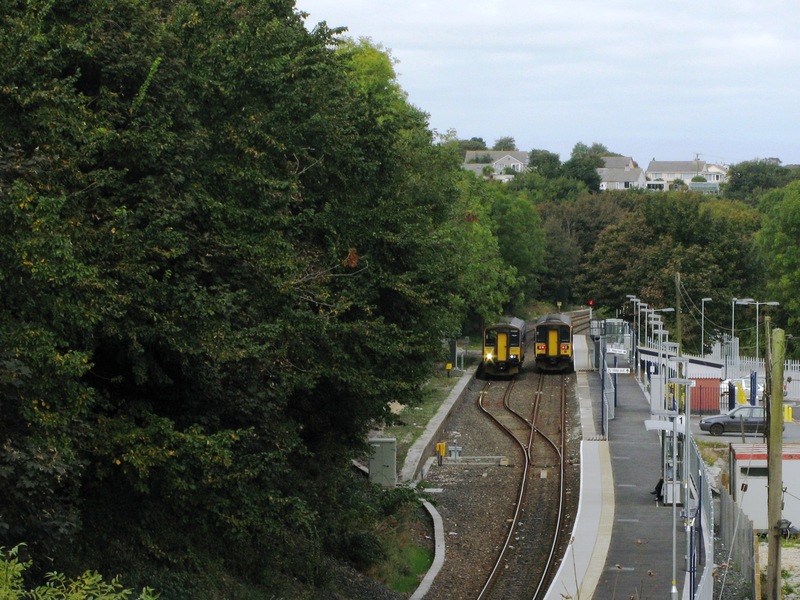 This is the same approach as taken at Penryn railway station (pictured). When the passing loop was installed at Penryn, the cost for this was £7.77m in 2009.